White Rabbit costume for women, made of soft fleece. The dress has a zipper in front, a dotted bow tie, a furry ear hood and matching tail, and an attached velcro cross body pocket watch. Full adult White Rabbit costume. Add accessoiries of your own choice. 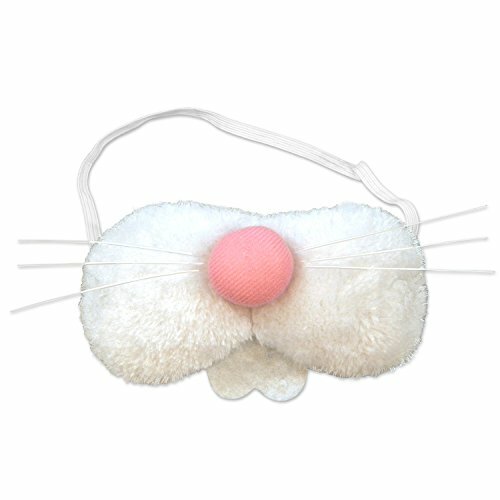 White and pink bunny nose made of plush with white felt teeth, and attached elastic band.